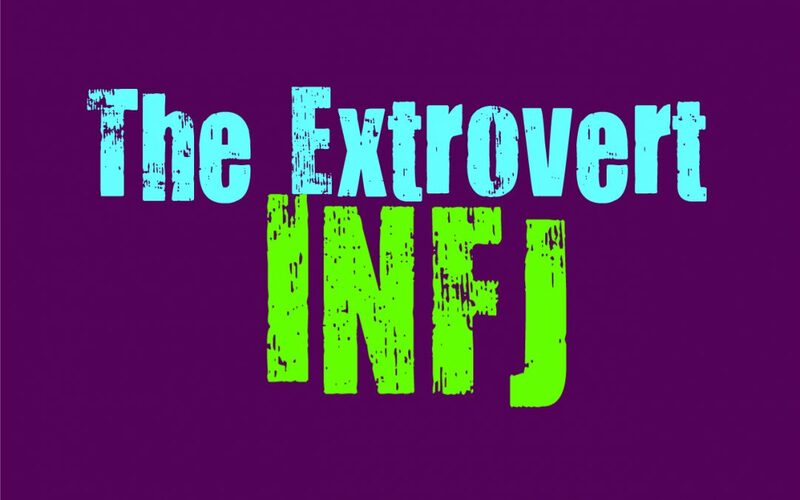 While INFJs are often rather internalized people, there are parts of them that can appear rather extroverted. Some INFJs are more outgoing than others, and possess many traits which can easily be confused as extroverted. While the INFJ might require a lot of time alone, there are times when they don’t actually want to be by themselves. They are extremely complex people, with contradicting qualities which make them difficult to understand sometimes. While they might be introverts, INFJs have a way of surprising people and contradicting themselves which can certainly make them harder to peg than a simple blanket description. The fact that people are more complex than a personality type, is why uncovering these finer details is so important. This is especially important for the rare and unique INFJ personality. Their contradicting qualities means that they require a little more digging in order to fully and truly understand who they are and what makes them tick. While INFJs need time alone, they also crave connections and have a strong desire to bond with people. It can be hard for them to find someone they can really open up to, but at the same time they truly want this. INFJs need to feel close to someone and are often searching for a relationship that goes well beneath the surface. INFJs don’t like feeling a sense of loneliness and so they truly need to feel close to someone else. Their relationships mean the world to them, and so for the INFJ it isn’t as simple as needing time to themselves. They are happy being around someone who they care for, especially someone who they feel truly connected to. They have certain people who don’t drain them like the rest, and this is often exactly what the INFJ is searching for. They often have romantic hearts, which are reaching out for someone to appreciate and understand them. While they have a hard time opening up, INFJs truly want to feel understood by someone else. This is why they might appear less like an introvert, since they often are searching for a sense of understanding that is difficult to find without making connections and reaching out to people in some ways. While INFJs might be internalized people who enjoy time alone, they also are very people focused. They understand the emotions of others naturally, and this often draws them towards people. When they witness someone in pain or in need, it is often the INFJs goal to help them and make things better. While they are introverted, this quality of empathy and compassion can cause them to seem much more extroverted. They might become drained afterwards, but they still find themselves rather focused on people and wanting to help them and ease their sadness in some ways. INFJs definitely require time to themselves to process information and their inner thoughts, but they still enjoy being around others. They have a knack for understanding people and seeing into their souls, which is something that makes them lean towards being an extrovert in some ways. Their ability to understand those around them is both a gift and a curse for the INFJ. INFJs can be rather social and even outgoing people when they want to be. They understand others and so they are capable of recognizing which behaviors will work for them. They can adapt to pretty much any situation, and will be good at reading the room. The fact that INFJs can be such charming and friendly people, is often a bit confusing for others. They don’t often appear as introverted as they might be, simply because they are so capable at adapting and being extremely charming and friendly. Most INFJs are chameleons, and so they can adjust their behavior to appear whatever way they please. This can cause them to mimic extroverted behaviors, almost a bit too well. They will certainly be capable of playing the extrovert for a while, although this can become draining. The INFJ might go a long time playing this role, without truly recognizing why it leaves them feeling so exhausted each day. They simply want to please others and will do their best to live up to their own high expectations. This causes the INFJ to push themselves, especially when they don’t fully realize that they require time alone in order to recharge and feel like themselves. INFJs actually enjoy having long conversations with people they can truly bond with on a much deeper level. Shallow conversations drain them, but there are times when they crave being able to discuss things for hours. They can go on for a while just running through their thoughts and feelings, and enjoy hearing what other people have to say as well. They make for incredible listeners because they actually want to hear what that person thinks and feels. INFJs can confuse people in this way, since they aren’t afraid of maintain a conversation that lasts for a while. They might even find themselves losing track of time when they are communicating with the right person. INFJs aren’t incapable of maintain conversations and discussions which include emotions and in depth theories. For them it is exhilarating to find someone they can talk with without feeling drained or annoyed. INFJs simply don’t enjoy meaningless and shallow chatter, and can become truly annoyed by this. They are certainly introverts, but some INFJs find themselves contradicting their own personality traits, sometimes causing them to appear rather extroverted.